J.A. Bayona (A Monster Calls) is no stranger to directing monster movies, or movies with monsters in them, perceived or otherwise. Taking the reins from Colin Trevorrow, who directed Jurassic World, Bayona, whose previous films have had more substance to them, delivers a thoughtless movie that is at least better than its predecessor, but that’s a pretty low bar for comparison. Jurassic World: Fallen Kingdom is largely uninspired. The action and the dinosaurs are superior to all of the human characters, which is a big problem, and the main theme fails to take hold and have an effect. It’s been four years since the fiasco at Isla Nublar shut down the updated Jurassic Park. The dinosaurs are still living on the island but face extinction by way of a volcanic eruption. Meanwhile, the world is watching and Dr. Malcolm (Jeff Goldblum) is adamant that the volcano should end the dinosaurs’ lives since they shouldn’t be around anyway. Thus, removing the threat of their existence and its impact on human life. Claire Dearing (Bryce Dallas Howard) thinks very differently and she and her team–Zia Rodriguez (Daniella Pineda) and Franklin Webb (Justice Smith)–are attempting to sway members of the government to move the dinosaurs to another location before they die. When Claire receives a call from the Lockwood estate, she’s thrilled that someone with the ability to effect change is willing to help her help the dinosaurs. She enlists Owen Grady (Chris Pratt), the dinosaur trainer, and they all head to the island. But it doesn’t take long to discover that Eli Mills (Rafe Spall) doesn’t want to save the dinosaurs at all and is only using Claire to gain access to them in order for him to sell the dinosaurs to the highest bidders. Everyone in the movie is toned down and given more muted personalities. It’s hard to feel any which way about any of the characters and it’s the indifference to any of them and what’s happening that makes Fallen Kingdom lackluster and lack any distinct personality. The issue is that, while many will go to watch the dinosaurs wreak havoc on the people who wish to harm them, it’s the human connections that should tie it all together. But where the characters connecting and bonding should exist lies emptiness and a lack of heart. An example is with Claire and Owen’s relationship. They barely interact in any meaningful way and there’s an attempt at banter during their first scene, but it’s off somehow. Afterward, there’s little to no buildup of anything involving their relationship and it isn’t helped by Chris Pratt and Bryce Dallas Howard’s overall lack of chemistry. 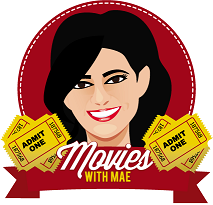 Isabella Sermon’s Maisie is a refreshing addition to the cast and manages to express the most emotion of all the characters. She also has the most to lose given her grandfather’s, Benjamin Lockwood (James Cromwell), place within the legacy and history of Jurassic Park. Zia and Franklin are also fun additions and steal the scenes they’re in, though there isn’t nearly enough of them. They should, however, continue to be present in any sequels because there’s a lot more potential with their characters. Fallen Kingdom sets up a clear theme involving the argument of whether the dinosaurs should be saved and continue to live or if a natural event rid the world of the creatures brought to life unnaturally and displaced in time and within the natural order of life. They try to parallel this argument with that of human life at some point. But even though the argument has the potential to be compelling, they are not one and the same and the movie makes it so it is. Fallen Kingdom’s themes aren’t explored long enough for them to make a mark on a film that focuses a lot on the action. Rafe Spall’s Eli is the business man villain archetype, complete with business suit, semi-controlled rage, and a love of money over ethics. He has no problem bringing together several of the world’s own villains without thinking of the repercussions. While this is villainy 101, it isn’t as effective here because we’re to assume that he’s been chosen by Lockwood and made into someone who could run his estate. Besides this bit of information, there isn’t much else to establish their relationship. The entire story is buildup to the destruction that results in the third act, but there’s an emptiness that follows the film throughout. Paired with the choice to pursue action and a whole lot of dinosaurs over all of the characters and their relationships with each other (no, a bland hug between Maisie and Owen and a lackluster kiss between Claire and Owen don’t count), makes this sequel superficial and largely unmemorable. Maybe the real problem is that Jurassic World: Fallen Kingdom is trying too hard to box itself up rather than flourishing on its own terms. 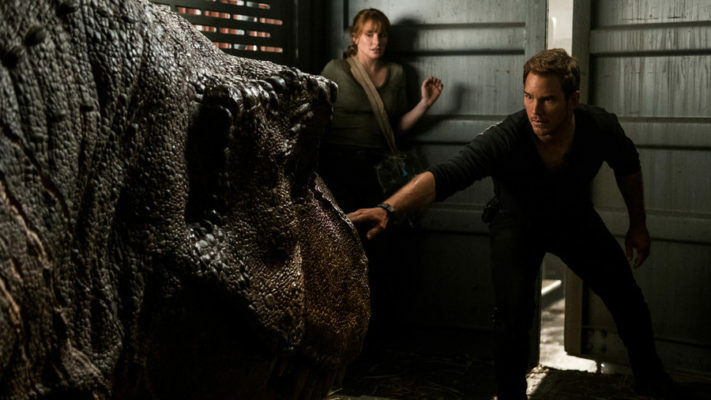 "Jurassic World: Fallen Kingdom" banks on its action and dinosaurs and ignores all of its human characters, which makes this sequel superficial and largely unmemorable.